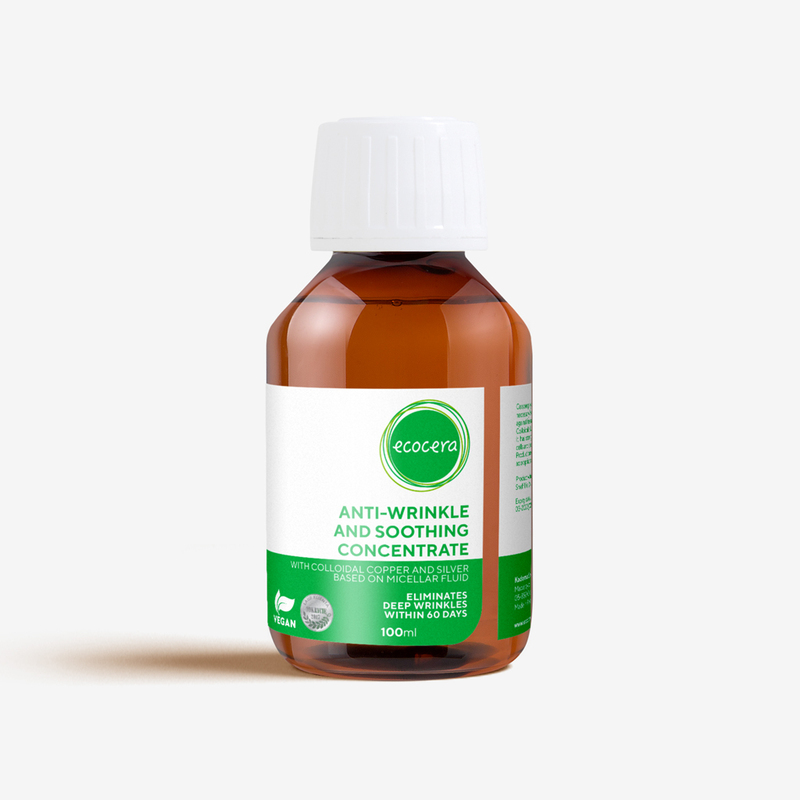 against free radicals and has fungicidal and bactericidal properties. Colloidal silver contained in the concentrate is a natural antibiotic. cells and accelerates healing of inflammations. Aqua, Glicerin, PVP, Sodium Lauroyl Sarcosinate, D-Limonene, Glucose, L-Ascorbic Acid, Eugenia Caryophyllus Bud Extract, Asphaltum (Shilajit) Extract, Colloidal Copper, Colloidal Silver. Remove make-up and clean your face. Soak a cosmetic cotton swab with a fluid and gently wipe your face, neck and cleavage. Do not rinse your skin with water or use tonic or other micellar fluid. Leave concentrate on the skin until completely absorbed. Apply your favorite face cream. Use twice a day.